When was the last time you spotted a cabin in a movie that you were watching? It was probably more recently than you think. Although many folks associate cabins with horror films, they are actually prevalent in comedies, westerns, historical pieces, and many others. Whether working to capture a particular period of time, or set the tone for adventure, Hollywood movie makers find many reasons to incorporate cabins into their films. These structures usually play a significant role in the production. To prove our point, we've tracked down 8 memorable cabin scenes from a variety of popular movies that have been released throughout the years. Where: Opening and closing shots. Many film enthusiasts believe that the opening and closing scenes of "The Searchers" (starring John Wayne and directed by John Ford) are among the most iconic scenes in all of Western films made. The opening of the movie features the door of the cabin being opened, whereas the closing frames John Wayne walking away from the open door before it finally closes. Where: When the girls realize they're twins. In this beloved movie, starring Haley Mills, twin sisters Susan and Sharon are separated at a young age upon the divorce of their parents. Fate steps in, and one summer the girls find themselves at the same summer camp. Here, they waste no time in becoming enemies. As their fighting continues to escalate, they receive a punishment to "fit the crime" - the are banished to the isolation cabin. It is here, in this moving scene, that the girls finally realize that they are twin sisters. From here, they decide to switch places. Where: 'I Marry You' scene. A story of romance, friendship, and survival, 'Cold Mountain' became an instant classic. After Ada (Nicole Kidman) and Inman (Jude Law) are separated as Inman is sent off to serve in the Civil War, Ada must learn to live on her own in her country cabin (with the help of Ruby, played by Renee Zellweger). Upon Inman's return to the cabin, their love is rekindled in this powerful scene. Where: Randy and Angel open up. This iconic coming-of-age film follows follows Angel (Kristy McNichol) and Ferris (Tatum O'Neil) as they place a bet to see who can lose their virginity first - before the end of summer camp. Although not initially the most heartwarming premise, the girls evolve throughout the story as they realize that emotional and physical love go hand-in-hand, and are far more complicated than they imagine. A change in Angel's character can see in this turning-point scene where she and Randy (her 'target') begin to open up outside of her cabin. All Chet (John Candy) wants to do is to enjoy a nice family vacation in the great outdoors with his wife and two children. Unfortunately, between his obnoxious in-laws showing up and annoying him, and a serious of unfortunate shenanigans, having a restful trip to the cabin is a lot more difficult than he bargained for. In this hilarious scene, Chet has been chased by a bear which he brings back to the cabin with him where more hijinks ensue. Where: When the Kiowas come for Rachel. A timeless classic, "Unforgiven"'s tale unfolds as we learn that Rachel ("Audrey Hepburn) was kidnapped from the Kiowa tribe as an infant and brought into the Zachary family. When the Kiowa people come to reclaim her as a young woman, a shootout from the cabin ensues. Where: The Candy Stash Scene. This fan favorite is a comedic look at a summer camp for overweight boys. Although the camp is supposed to help the children lose weight and become healthier, the facility has historically been loosely run, and the boys have learned how to hide their candy. In this memorable scene, Nicolas (David Goldman), who is a camp newcomer, is witness to the many secret spots throughout the cabin in which his bunkmates (the 'chipmunks') have hidden their sweet stockpile of treats. Another cult favorite, "Meatballs" is about a cut-rate summer camp (North Star) and its ongoing rivalry with Camp Mohawk, which is just across the lake. An annual Olympiad is held, and the campers from each side compete. In this scene, spirits are low after the first day of the Olympiad the the score being Mohawk:170 and North Star: 63. Tripper (Bill Murray) gets up and tells the campers "it just doesn't matter". Newly inspired, the campers are victorious on day 2. Why Do Teens In Scary Movies Always Rent Mountain Cabins? When was the last time you watched a horror film? Americans love scary moves. Maybe it's because we all enjoy a good thrill, or maybe it's because we like throwing popcorn at the screen and shouting, "Don't do it!" to the killer's next victims. Whatever the reason, horror films are a staple in pop culture, and no category is as popular as teen horror. Have you ever noticed, though, that cabins are frequently featured in these movies? From the very first installment of "Friday the 13th" all the way up to the 2013 re-make of "Evil Dead", teenagers and young adults seem drawn to cabins in the wood. Why are these youths choosing to stay in these lodgings, and why do Hollywood writers love to include cabins in their screen plays? You may think that it's simply because they create a spooky backdrop, but you'd actually be mistaken. There are numerous tactical advantages and practical reasons for setting a teen movie in a cabin. Here's a look at why. Teenagers and young adults are all looking for one thing: fun! It's only natural, then, that these youthful spirits and adventurers would make the decision to go on a trip to a cabin in the woods. Nice, luxurious cabins feature hot tubs where young couples can cozy up together, fire pits where they can tell scary stories around the flames, and game rooms where they can challenge each other to pool or ping pong. There's lots of space for the whole gang to spread out in cabins with multiple bedrooms, giving everyone a place to retreat before starting up a game of "Truth or Dare" in the cabin's living room. Plus, cabins are often located near rivers and lakes, and we all know that this means that one of those "dares" will be for someone to go skinny dipping. All in all, cabins are a teenage vacation paradise! What do all teen "cabin in the woods" movies have in common? There are no parents around to tell them what to do! With a lack of adult supervision, the young'uns are able to go wild, and do whatever they want. What teenager wouldn't love to go on a getaway like that? This leaves them free to press the rules, and to form new relationships with their crush without Mom or Dad barging in the room and spoiling their first kiss. Of course, Hollywood writers love the lack of adult supervision because it makes it easier to set the tone for the kids being out in the woods on their own, forced to survive without the help of a grown-up. It doesn't take a rocket scientist to realize that if you start blasting your party music in a residential neighborhood or in a hotel, the neighbors aren't going to be very happy about it. No teenager wants the police to show up at their door and spoil all of the fun, so they make it a point to pick out a vacation spot where they are all alone, with lots of space between themselves and any other cabins or houses that may be located nearby. In such a remote location, the festivities can really take off at full swing, with lots movie watching, chatter, and shouting. And with such privacy, it's easy for young lovers to steal off and spend some alone time together, away from the prying eyes of their friends. This remoteness also makes it easer for film-makers to scare the audience, as there is no help for miles around. While this may seem frightening, though, in real-life, luxury cabins can be located within gated communities and are extremely safe and secure. How do these teenagers manage to survive their ordeals while staying in a remote cabin in the woods? It's because there are so many tactical advantages and escape routes for the characters who keep a level head. While holing up in the cabin may not deter the monster out to get them, the teenagers are able to run off through the woods in an attempt to shake their predator and get away to find help. There are fallen branches and rocks to use as weapons, trees and bushes to hide behind, and even streams and creeks to cover up their scent, if necessary. Being out in the woods may initially seem creepy, but it's actually a big advantage. Cabins in the woods are not naturally spooky accommodations, they just make the perfect backdrop for a horror movie. Halloween Movies Give Cabins In The Woods A Bad Name! Here in Helen area, we're all excited about Oktoberfest. It's our favorite time of the year, for all sorts of reasons: The cool, crisp air, the clear views of the mountains, the amazing fall foliage, and, of course, beer. But that's not all October brings, and a lot of people also happen to be here for that other October holiday: Halloween. Now, we love a good scare as much as the next person -and like you, I love our annual film fright-fests - but we really can't help but feel that scary movies give cabins in the woods a really bad rap. We'd even say they're scaring off our customers. Because unlike other rustic vacation destinations - you'll find nothing but peace and relaxation in the in the wonders of America's natural beauty. Don't believe us? Just take a look at our competition! Sure, the camp has been in operation -off and on- since the 1950s, but they certainly don't talk about the body count in the brochure. Yeah, that lake is nice and inviting and has great docks for fishing... but you could be fishing out a body or three. Or, if you're just trying to relax in your cabin with your special someone, at any moment you might be surprised by a machete-wielding madman looking to impale you both. On the other hand, the woods of North Georgia are regularly swept for any sort of blade-carrying miscreants. A visitor to one of our cabins can wander the woods in peace, with their loved one, and be in absolutely no danger of unexpected organ rearrangement. The backwoods are well-known for having cabins all over the place, and every now and then someone may discover they've inherited one. Yet, it seems like it's the same story, over and over: Everything is going great, until suddenly they discover a recording of the Necronomicon in the basement and, well, demonic possessions can really wreck a quiet holiday. If this has happened to you, you'll appreciate the care and attention we spend maintaining each and every cabin. After every visitor leaves, we carefully search the area for any lingering malevolent artifacts, and guarantee their removal -to a secure facility- before the next guest checks in. Another way many movies give the wrong impression about Georgia mountain cabins is the matter of "different but unique" neighbors. 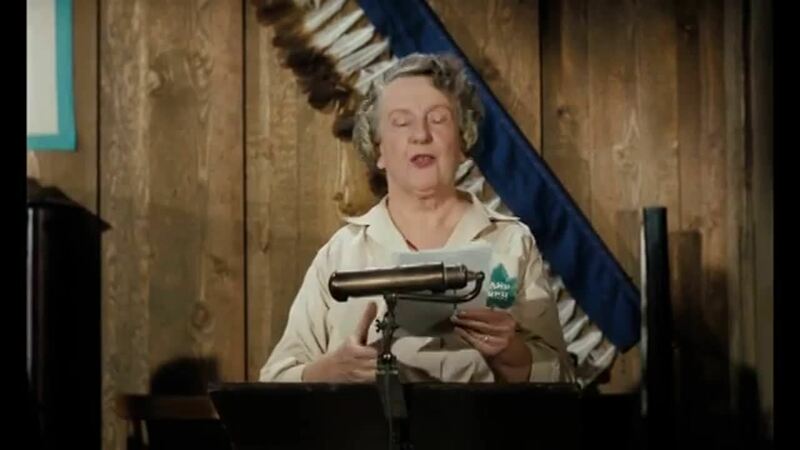 Now, we've got nothing but respect for our peaceable neighbors -and they are- but clearly situations with the local populations have gotten out of hand at other cabins, and fairly often. And poor Dale and Tucker still haven't gotten over their last trip to a cabin. The woods are 100% free of any cannibals or other anti-social elements. In fact, during your stay at a North Geogia mountain cabin, you're unlikely to meet anyone you don't want to. Our cabins are isolated, and designed to give you all the privacy -and protection- you need. Our cabins give you a full kitchen and refrigerator, along with outdoor facilities, so that you can enjoy a nice outdoor dinner, rather than being an outdoor dinner. Of course, one might think that a cabin in the woods is safer these days, thanks to new surveillance technologies, but that's apparently not the case. In fact, we heard recently about an unfortunate bunch in a cabin a year or two back where the whole thing was wired up with cameras and attached to a government facility! So, we can proudly tell you in complete sincerity that there is NO government base beneath us here! We make sure to sweep the woods for government spooks at the same time we're clearing out all the other vaporous apparitions. Some secluded mountain cabins protect you from monsters, and others protect you from overzealous three-letter-agencies. We've got you covered both ways, and that's a Cedar Creek guarantee. Have A Safe And Secure Halloween At Cedar Creek! While, of course, we can't say that these unfortunate experiences necessarily reflect every cabin in the woods... do you want to take that chance on Halloween? When you rent a state-of-the-art luxury cabin, you'll live in style, comfort, and safety from any supernatural creatures. So, if Helen is going to be your Oktoberfest destination, contact Cedar Creek Cabin Rentals today for reservations! In your imagination, how do movie stars vacation? In Helen, GA luxury cabin rentals, you do not have to spend like a celebrity to feel like one. Movie stars do not just go on a vacation to get away from their hectic schedules; they go for the experience. When you rent a luxury cabin in Helen, you are in for the ultimate VIP adventure. When you stay in a hotel, you usually have to pay extra money if you want a room with a view. In Helen, GA luxury cabin rentals, all the rooms have a view. From inspiring mountain vistas to a trickling creek, wooded forrest or a relaxing waterfall, your view will never be anything less than first class. Whether you are traveling with just your sweetheart or the entire band, Helen, GA luxury cabin rentals can accommodate your entire party. Larger cabins can sleep up to 10 or 11 people. If there are more people in your party, request a series of cabins in their own private gated community. When you have a busy life like a movie star, the last thing that you might want to do is figure out what to do for fun. In your luxury cabin rental, the fun comes to you. With high-definition televisions, surround sound and complimentary Wi-Fi, you can plug in your laptop to watch your favorite streaming movies. Challenge your entourage to a billiards game or get a game of two-on-two going at the Foosball table. If you need to get away from it all and relax your mind, nestle into the on-deck outdoor hot tub and enjoy a private waterfall view. Then, for some old-school fun, get the outdoor firepit started, gather your group, roast some marshmallows and reminisce about the good times. Like many movie stars, you may consider your animal companion to be an integral part of your family. The best Helen, GA luxury cabin rentals do not regard this as a problem at all. Pack up your four-legged friend’s posh pet bedso he or she will feel at home, and be ready for the excitement that ensues with the rush of exploring the luxury accommodation and surrounding wilderness. He or she will surely approve of our pet friendly cabins in Helen, GA.
Movie stars travel for a living, so Helen, GA luxury cabin rentals are the perfect choice for those who want to be only minutes away from area attractions. The closest activities are right outside your cabin door—follow the trail by your cabin for an easy hike. For a more vigorous activity, swim a few laps in the nearby swimming pool or workup a sweat in a game of tennis. If you want a taste of Europe, go to downtown Helen to see its bavarian-style architecture and visit the restaurants and quaint shops that feature the work of local artisans. Eating like a movie star is no problem in Helen. With restaurants to suit any taste, you will always find something to enjoy. Restaurants in Helen, GA feature traditional German fare, Italian delights, classic Southern treats, bistro-style cuisine, steak and seafood joints and cafés with freshly baked goods. If you have a movie star budget and want to dine-in, Helen, GA luxury cabin rentals easily accommodate personal chefs. The large, fully stocked gourmet kitchens with slate or granite countertops provide any chef (or you) with the essential tools with whip-up a five-star meal in the comfort of your cabin. The full kitchen in each cabin is perfect for guests on a budget who prefer to not eat out for every meal. Stock the kitchen with your favorite ingredients and make your own food. 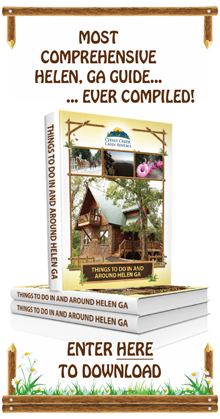 The beauty of Helen, GA luxury cabin rentals is that you do not need a movie star’s bank account to enjoy them. You can stay in a fine cabin with uniquely appointed amenities at rates that beat those of the finest hotels. What is your ideal movie star vacation? It's easy to see that cabins are a big part of film-making. No matter what type of movies you prefer watching, a cabin is bound to show up at one point or another. What are your favorite films that feature cabins in them?